ExpressMapper it is lightweight and easy to use .Net mapper to map one type of object(s) to another. ExpressMapper relies completely on the expression trees. Just imagine when you need to map domain model (data entity) to your DTO (viewmodel or data contract) in almost all cases it is a not exciting and boring routing to do. Just take a look at the example when it is done manually. // when host app starts e.g. ASP.NET on Application_Start. Here you can see when Expressmapper becomes very handy. Once the mappings are registered you can map objects in your code wherever you want either as many times as you want. Mapping domain model that matches completely DTO. It means that property names and their types are the same. 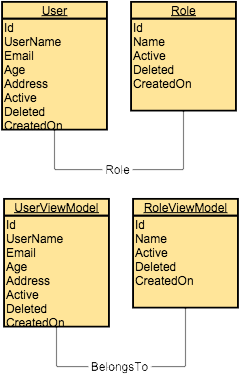 Mapping domain model which is slightly different from DTO is accomplished by “Property” mapping. Mapping domain model’s property that matches DTO by some complex rule or algorithm is accomplished by “Function” mapping. // Ignore default property mapping use "Ignore"
To ignore destination default property mapping is accomplished by “Ignore”. To implement minimum custom mapping like enumeration to string according business rules, etc.. use custom mapping function in order reuse it throughout different mappings' registrations. To implement custom complex mapping according business rules use custom mapping. Mapping collection types like: IEnumerable<>, ICollection<>, IList<>, IQueryable<>, typed arrays - no additional steps are involved. Warning: IQueryable<> is implicitly cast to IEnumerable<> - if you need LINQ provide IQueryable support use .Project<Source, destination>();. Having not default public constructor or some other logic to instantiate destination DTO - use “Instantiate”. Need to do pre-mapping initialization or calculations - use “Before” function. Need to do post-mappings or calculations - use “After” function. Need to reset compiled mapping code’s cache? Use “Reset” function. If there is a need (strongly recommended) to precompile all mappings - use “Compile”. There is no difference in performance iterating throughout a collection and use “MapTo” method for each item or just mapping collection. Need to map source to an existing destination without creating new instance(s) of destination. Use .Map<TSrc,TDest>(TSrc source, TDest dest). Mapping with destination ".Map<TSrc,TDest>(TSrc source, TDest dest)" applies to nested members either a class or a collection types. 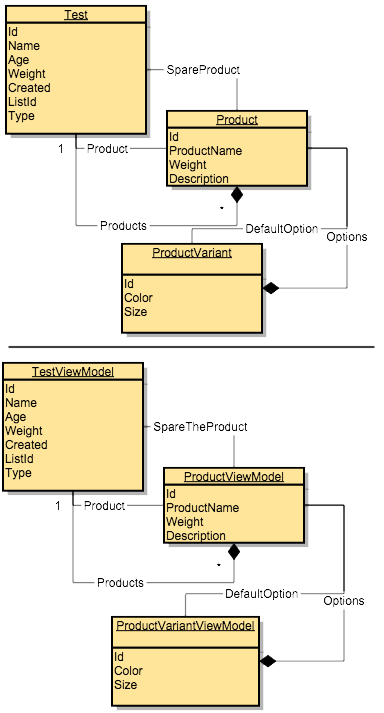 Don't have generic types but objects - you can map just object types with specifying the types. There is non-generics support for existing destination mappings presented too. Need to map just a constant or value? 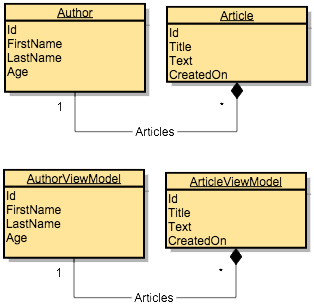 - Use .Value member configuration. 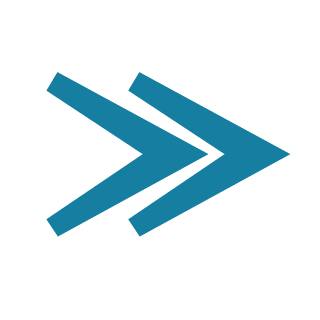 Implementation of custom complex mapping with destination. If there is a custom mapping defined it will be used as the first priority either as a primary mapping or nested one if source and destination match custom mapping types. Don't worry about mappings like int -> int? or vice versa - Expressmapper handles all conversions automatically. Don't worry about null checks for nested object type properties - they are handled automatically for you. All presented tests you can execute by yourself - download solution from the GitHub and run as a start project - "Benchmarks". If you have some concerns regarding benchmarks, please either send them to support@expressmapper.org or create an issue in the GitHub we'd be grateful for any input. What's new in Expressmapper 1.8? Compilation type management support for "Source" and "Destination" mappings. That kind of switch helps you to avoid unnecessary compilations if you don't use them. It supports globally and at more granular level - per mapping registration. Mapping registration has major priority than global one. Special support for mapping enum types. It uses integer values from enums as a mapping criteria. From now on you can manage case-sensitivity at global and per mapping's registration level. Mappping registration level has major priority than global one. Deep copy mappings support. Map source and destination with the same type. Case insensitive support for mapping properties and fields. Since now you can precompile any collection's mappings apart from registration compilation. Registration compilation compiles only "Source" to "Destination" mapping but not "List<Source>" to "IEnumerable<Destination>" that is specified in you client code and Expressmapper has no idea about it upon registration time. But when it tries to map it in the client code first time, it compiles collection mapping and caches it. With such precompilation improvement you can avoid first compilation in you client code. Implicit IConvertible conversion mapping support. Passionate back-end, front-end as well as mobile developer on various platforms like .Net, Xamarin, Nodejs and many other frameworks and technologies.